Pro General Comments: David, this is impressive and shows a lot of musical skill and training. The genre is a cross of pop/classical and new age. It's inspirational soothing relaxing pensive serene peaceful dreamy. The melodies are exceptional and the arrangement is A+. I can hear this being used in movies as a cinematic theme or for background and for luxury advertising and commercials for high end cars, jewelry etc and for spas and relaxation ambient atmospheric music. It's stirring, uplifting and kept me interested throughout. I would not hesitate to offer you a non-exclusive contract and pitch this song for sync licensing to movies and television. I can't imagine a music library or music placement company passing on this song. It's very professionally done. Great job. I loved the guitar work and the way you layered the strings. Excellent use of bowing techniques. I'm assuming they were synth but they sounded real. I would bet money this will find its way into a television show, movie, infomercial, documentary or commercial. Keep the faith and keep composing. 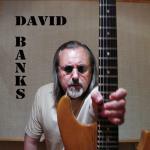 Quote From Pro: David Banks is a composer, arranger and instrumentalist who will soon make his mark in the world of classical/orchestral and cinematic music. He is original, creative and unique. His merging of pop influences with classical orchestral influences are both interesting and attention grabbing.